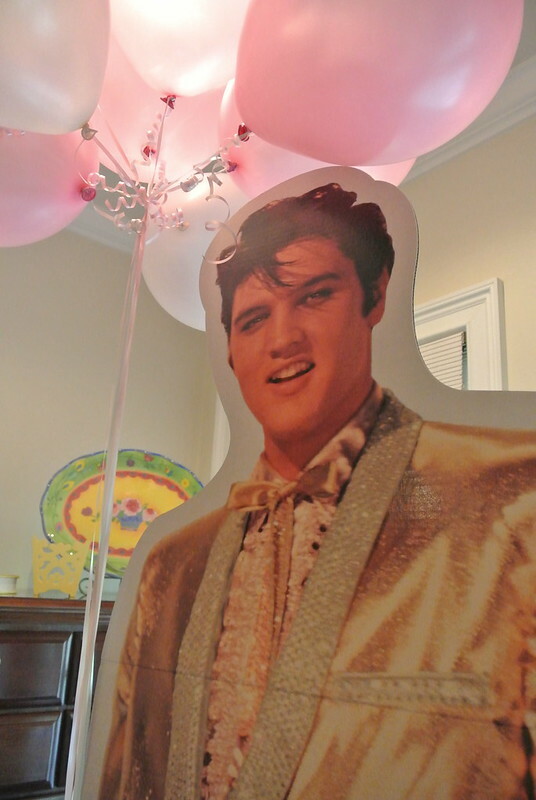 Pink Elvis Surprise Birthday Party! I feel like everyone has a "second mother" - you know, your mother's best friend who has watched you grow up and is listed as an emergency contact on all of your school forms. Well, my second mother is Gail, or "Gay-Gay" as so many affectionately refer her. Every year for as long as I can remember, Gay-Gay has not had a birthday... but a birthday week, combined with the 4th of July celebrations on the lake, her niece's birthday, and ending with her mother's birthday. 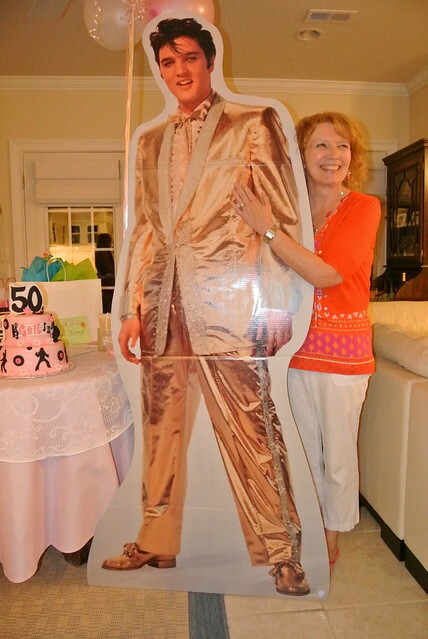 Gay-Gay loves the birthday attention... well, every year except this year... the big 5-0. 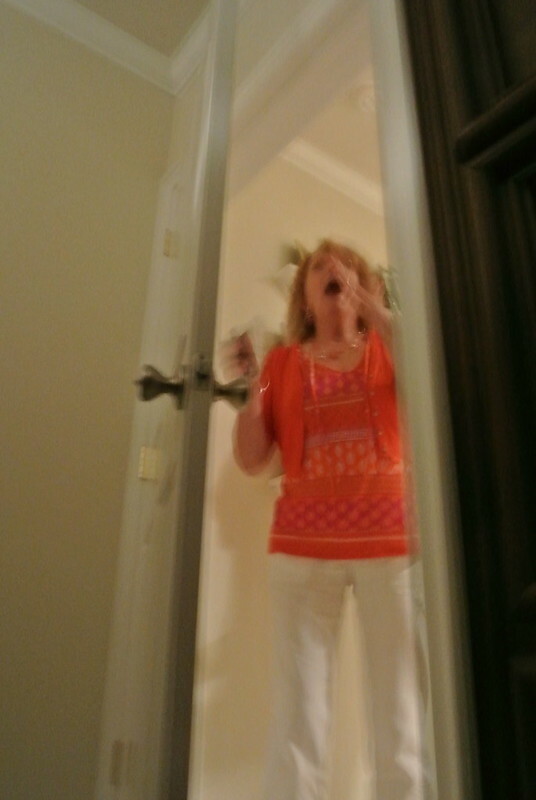 She told her husband she didn't even want to acknowledge her birthday. She just wanted a quiet day around the house... which is good because that's exactly what she got. However, the lack of birthday festivities apparently bothered Gay-Gay (ohhh, she voiced her disappointment!) 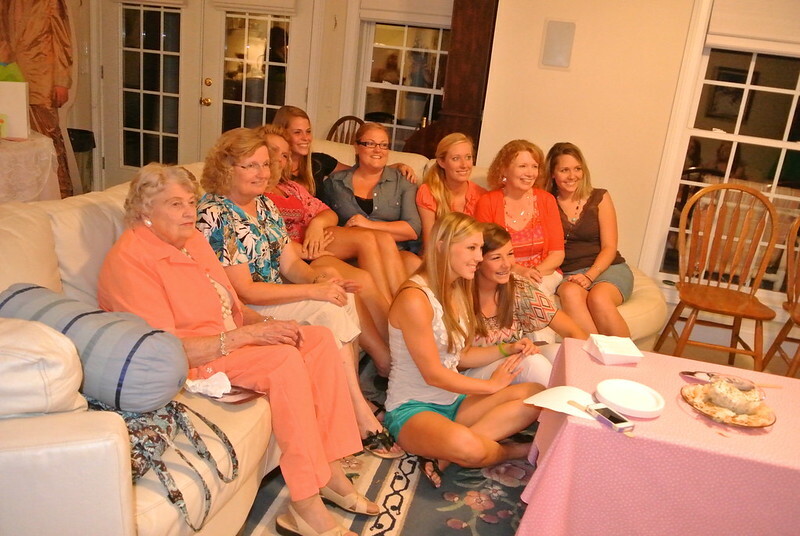 which was also good - because we had a huge surprise planned for her. 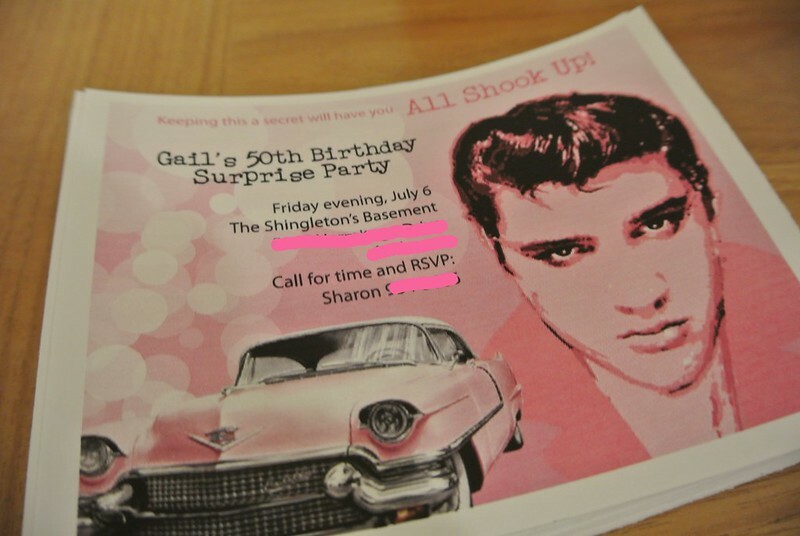 The surprise party had been in the works for a few weeks. My mother and her daughter, Emily, had been working on it. 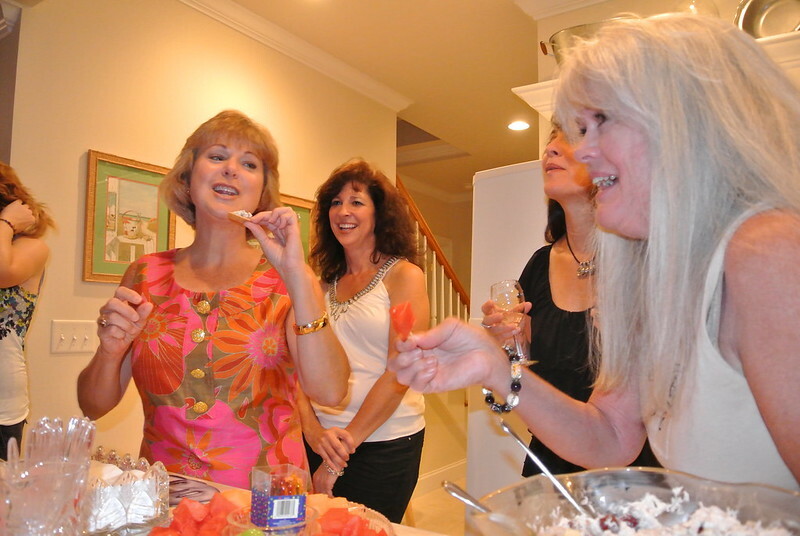 The guest list had quickly grown from not just the current closest friends and family, but good friends from years past who had lost contact (which was perhaps the coolest part about the party). Little did Gay-Gay know, her birthday would become a huge reunion. A black, over-the-hill theme was a huge no-no. 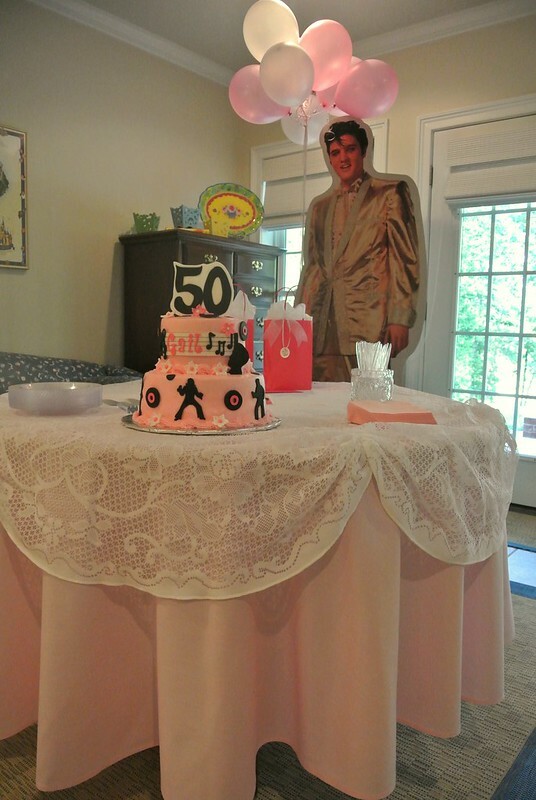 For theming, we decided to go with Gay-Gay's favorite color, pink, and her one true obsession, Elvis. 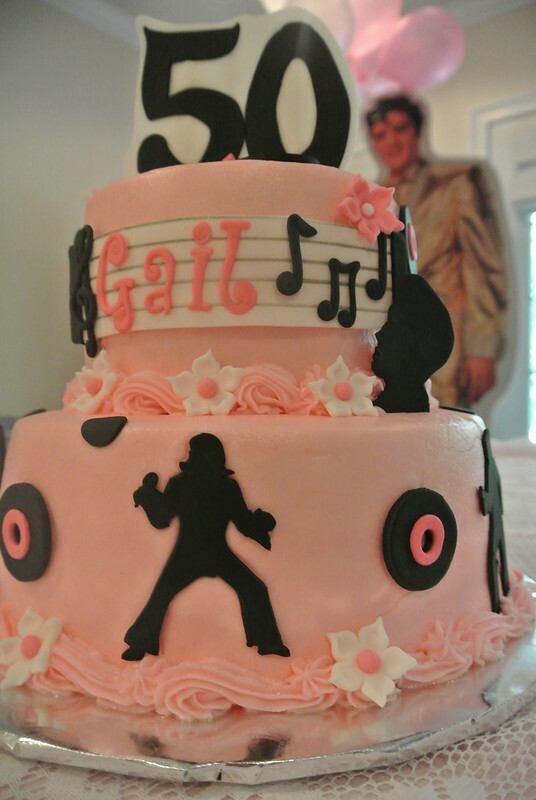 The cake was created by Kim Brown. The table cloth was actually from my mother's wedding reception... 27 years ago! 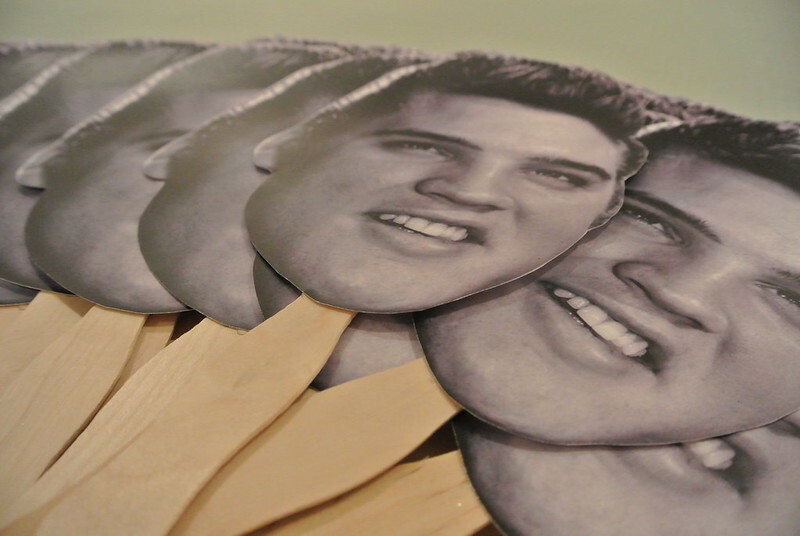 I printed the Elvis heads on cardstock and hot glued them to flat wooden dowels. 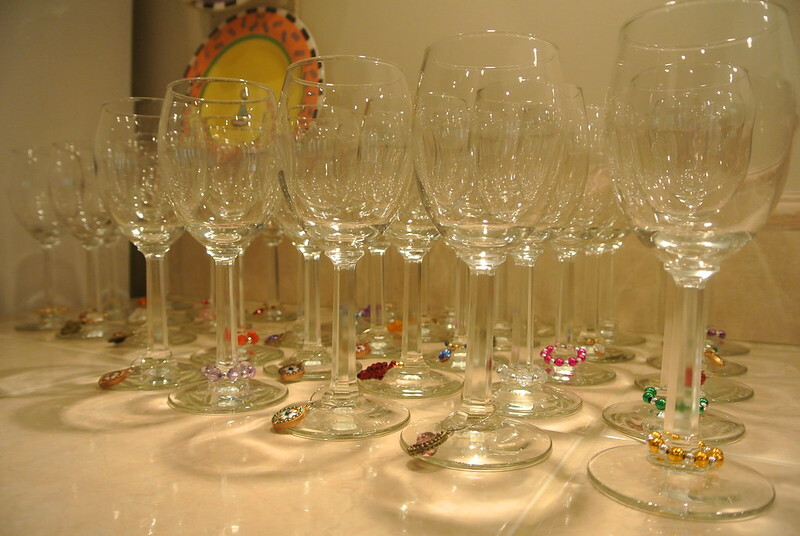 The glasses have 'bling' so everyone can identify theirs... we host quite a few parties. 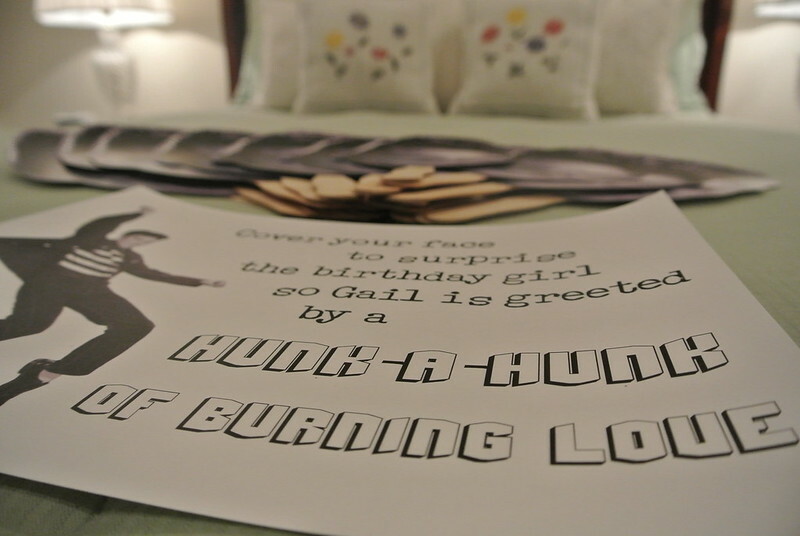 Pulling off a surprise is of course the trickiest part. The plan was that Gay-Gay, Emily, Mom, and I would go see Magic Mike and while we were at the movie, all of the guests would come to the house. Dad and Gay-Gay's husband, Perry, would park the guests' cars at the end of the street so that when we came home, it would look like a typical, lonely evening at home. YES! We were headed home. Pulled into the driveway and there were no cars except my father's. I ran downstairs to grab the camera and we shoved everyone into the bedroom. 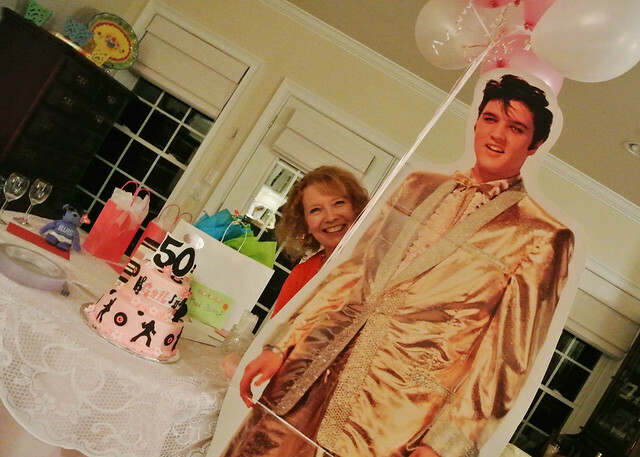 It's a good thing Gail was behind us because it took everyone a minute to calm the giggles while holding up Elvis masks. 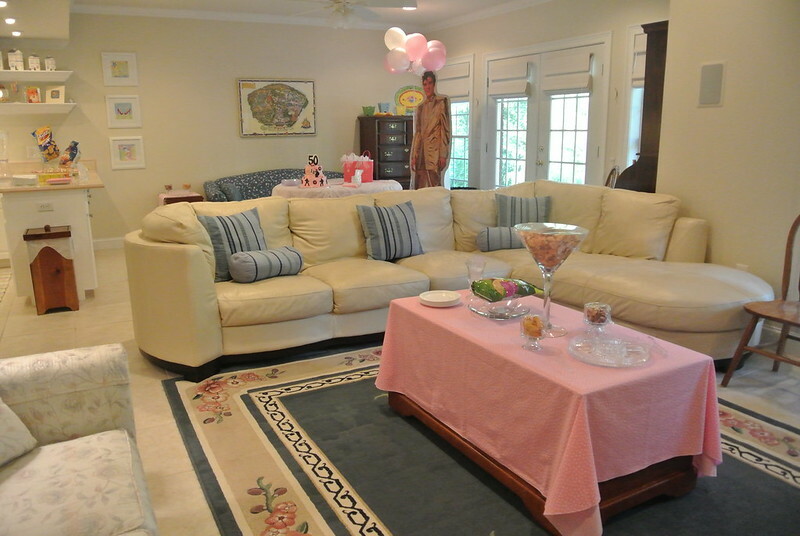 Mom - "The cake's in the basement. Hey, I put a new bedspread on your bed [Gail has spent the night here a few times... one of the first and only people to actually sleep in our guest room], take a look!" 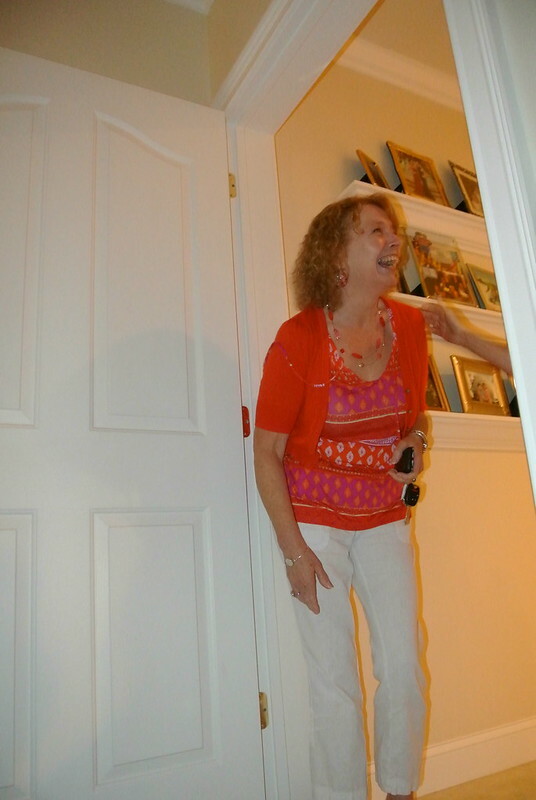 Gail - Knocks on the door. "Alec [sister's boyfriend who has also stayed there] isn't in here, is he?" Opens the door. Such a cute idea! 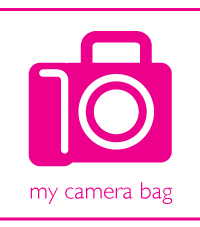 My mom is turning 50 this month, so I am looking for ideas for her.